There were far too many kids on this beach. Well, actually, I'm kidding. 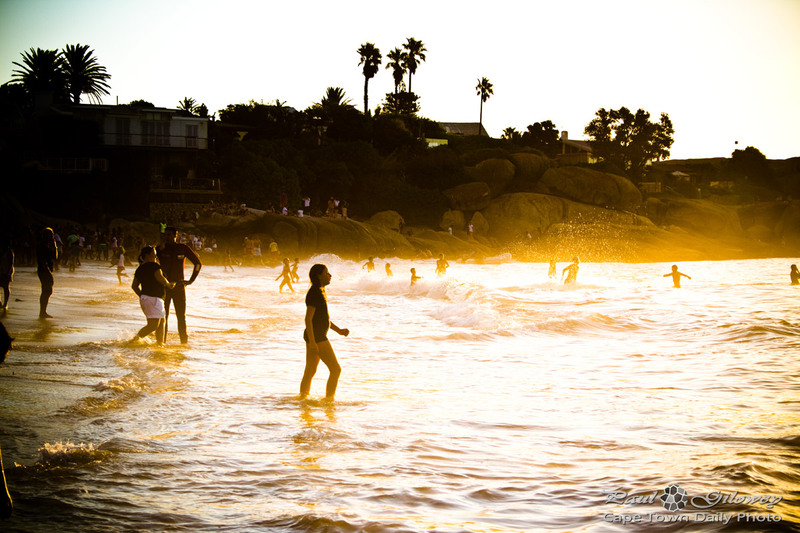 ;) What I mean is, I've taken to frequenting the more refined and sedate Clifton 3rd and 2nd beaches. 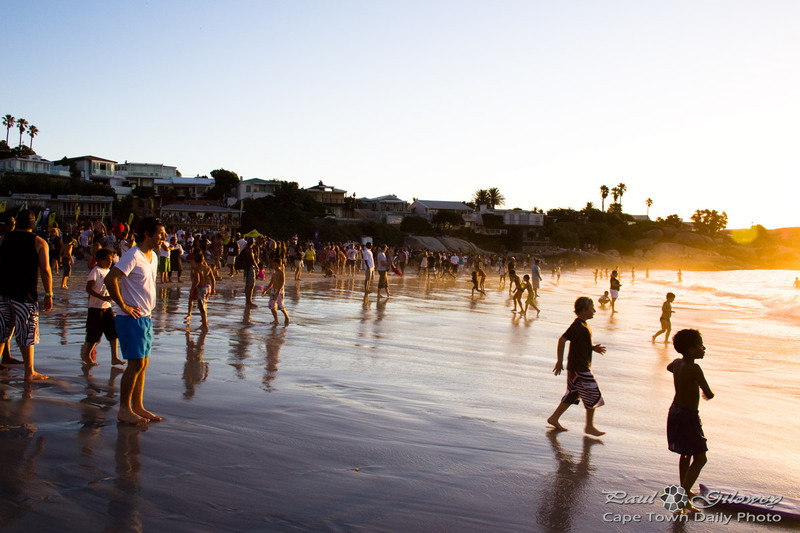 Clifton 4th (the one in this photo) is probably the best of the four beaches along the stretch of coast, but in summer tends to get quite crowded and noisy (with babies, toddlers, and ice-cream salesmen). 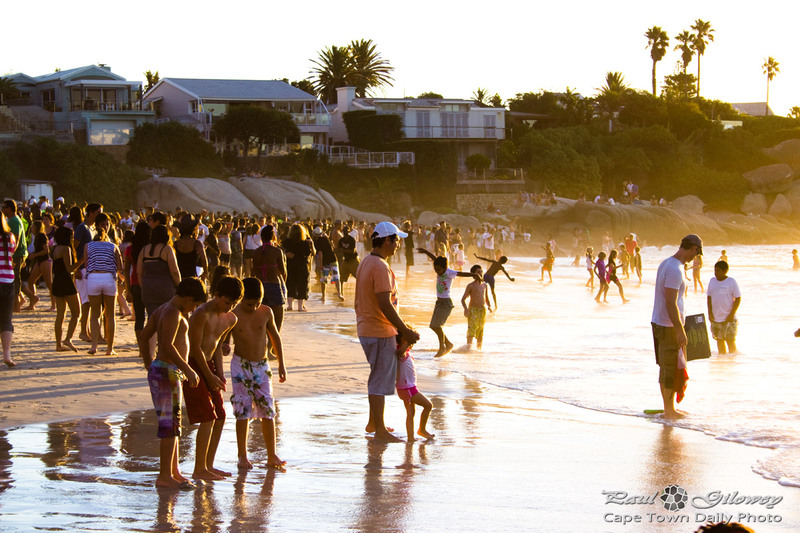 Posted in General and tagged beachs, clifton on Sunday, 16 November, 2014 by Paul. 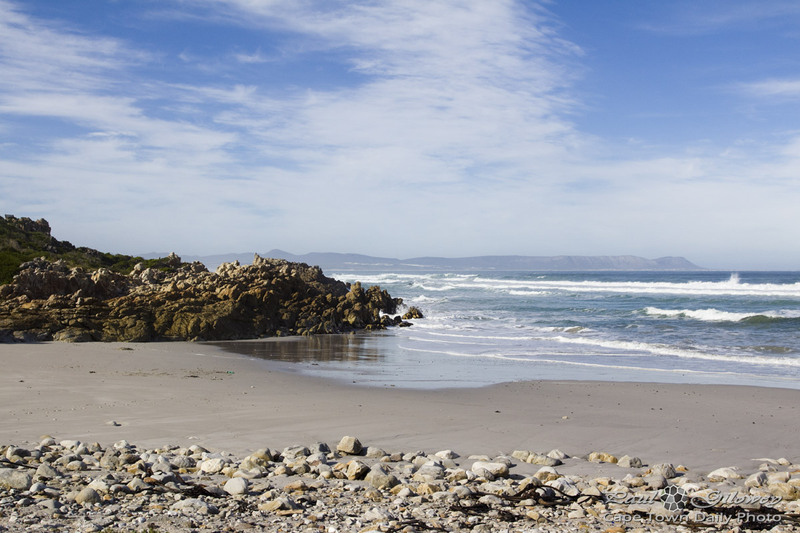 Posted in General and tagged beachs, hermanus on Wednesday, 3 July, 2013 by Paul. 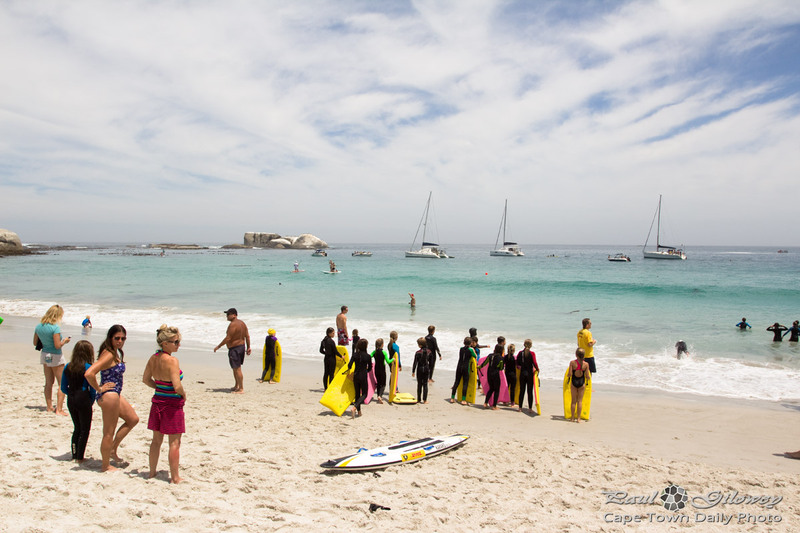 Posted in General and tagged beachs, clifton, people, sea on Monday, 20 February, 2012 by Paul. We're burned by the sun, we easily dehydrate, and may at times get mild sunstroke - but yet we still choose to leave our dwellings and congregate next to large bodies of undrinkable water. 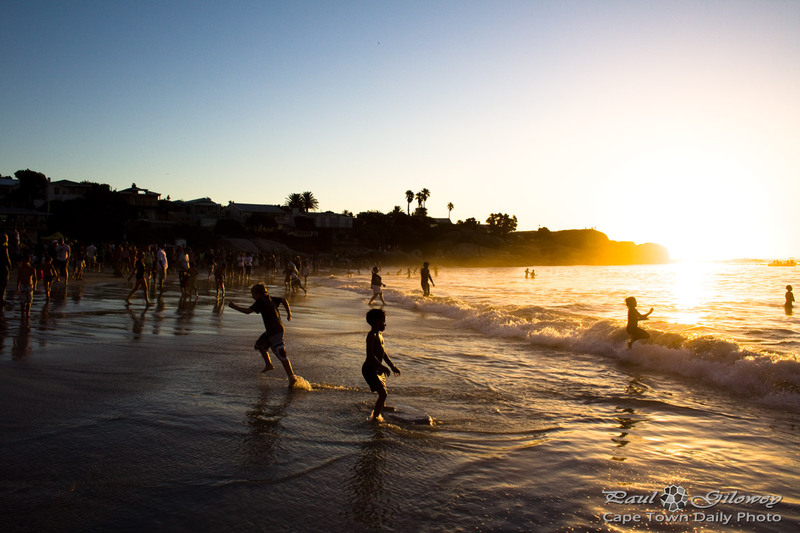 We don't do too much for the most part; we lie on the sand, stand in the water, and sometimes swim or body surf. Imagine being an alien and arriving at earth to observe our race. Assuming that (a) aliens exist, and (b) their world doesn't have the concept perfect beach weather, wouldn't our practice of spending time at the beach look kinda odd? 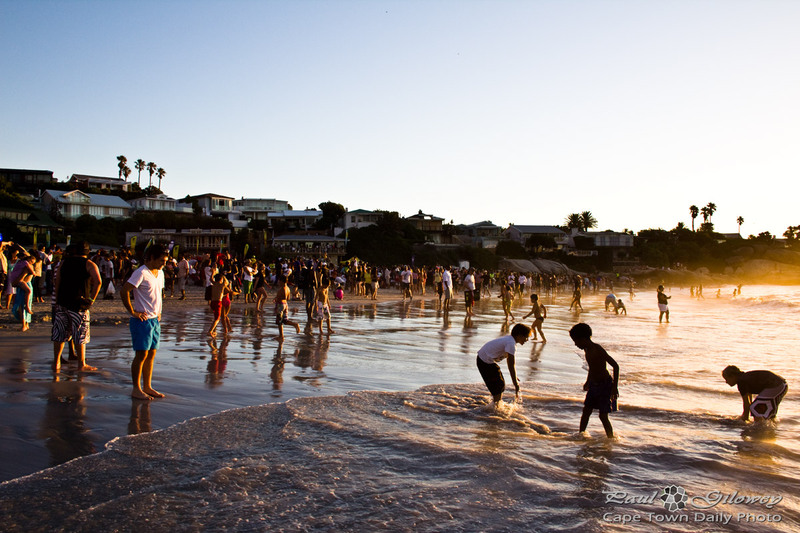 Posted in Activities and tagged beachs, people, sea on Monday, 19 December, 2011 by Paul.